Are all your sockets in one spot but unorganized therefore wasting your valuable time. searching for the right one? Maybe you've just lost them? Whatever your situation. you do not have to be unprepared. 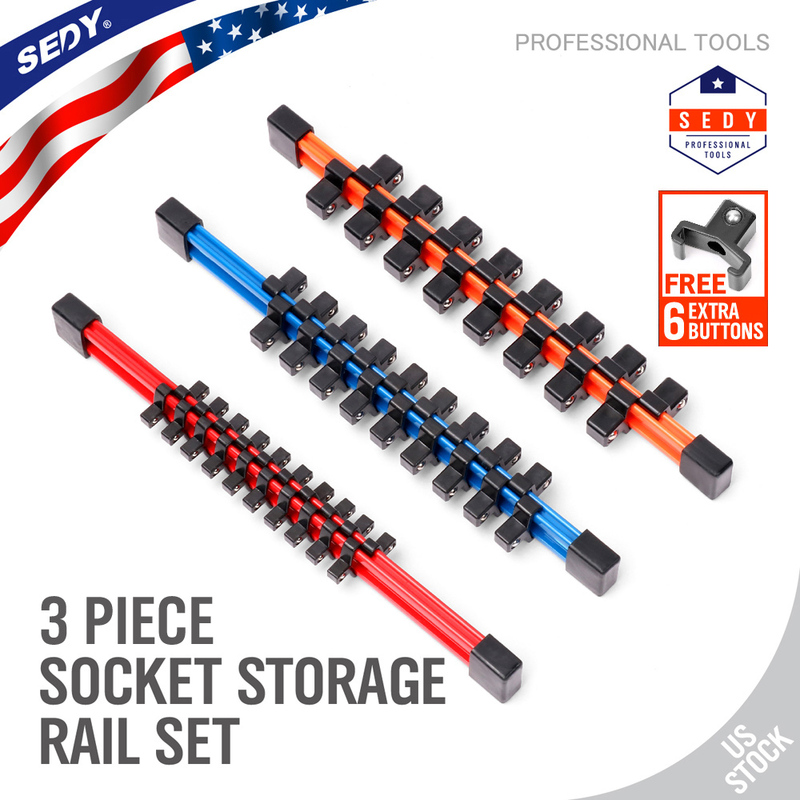 horusdy Tools 3 Pcs Kit Socket Rail . 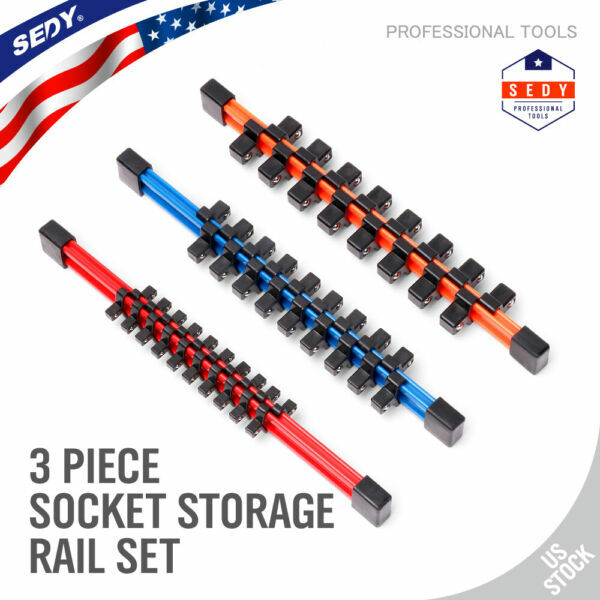 Holds your sockets and makes it easy to put on and remove . Items are generally dispatched from our USA local warehouse within 1-2 business days after payment is cleared however please allow approximately 2 - 6 business days for it to arrive in domestic. International shipping time depends on the country.Buyers will be able to trace the delivery online with a tracking number. Some of our large items sell with different freight costs. Please email us through the listing with your Post code and Suburb Name to inquire the postage. Also Large items are not able to oost to PO BOX address due to weight & size. Buyers have the full responsibility to provide us with the correct delivery address and mobile phone number on the ebays checkout page before payment. There is 12 month warranty on all our products starting from the date of purchase. When products are used for commercial purposes, they qualify for a 3 month warranty. All warranty claims must be directed through Customer Service. Please do not return or post items before obtaining instructions from Customer Service - if you do, there is a risk that your returned item may not be identifiable and your claim may not be accepted. Please make sure your Paypal Account is verified before paying with Paypal. Otherwise your payment will come through as an eCheque which may take 3-5 days to clear in our Paypal account. We will only process your order once payment has been confirmed in our account. Please check with Paypal to find out how to verify your account.